Numerics Calculator is fast and very user-friendly application to make your calculations easier and faster. It is the leading solution on Chrome Web Store for variety of both simple and complex calculations. Enjoy the application with powerful interface. Large input box shows your results in the same time, so you just minimize interruptions and focus on what needs to be performed instantaneously. Keep history of your calculations. All your calculations will be stored in an editable history panel. Moreover, you can add comments to the results. Use all those missing common math functions. 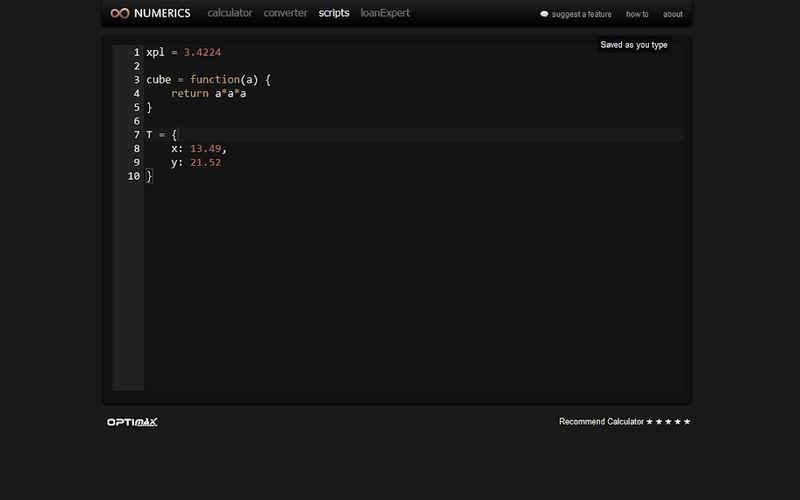 For instance, apply one of these famous functions -sin(x), cos(x), sqrt(x), etc. Or even use powerful function shortcuts like a^b, a!, #a, a%b. 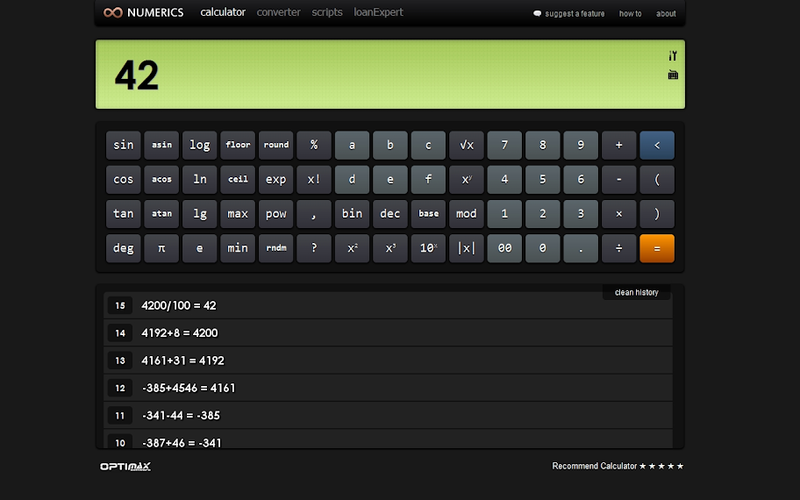 Do you want to enjoy calculator directly from your browser? Add a lightweight extension version - Calc. Program yourself and achieve even better performance for an individual cases. Works even if you are offline. Stores all your data (history, custom functions) to your browser's local storage. Use variety of numeration systems you need for any specific cases. Multiple numeration systems give you possibility to perform calculations in the ways you need it for certain cases. For instance, use 0xAAAAA for hexadecimal numbers and 0AAAAA for octal. You can also use dec(x), bin(x) and base(n, to, from). Do you feel there is something important we are missing? Feel free to suggest. You are welcome to suggest features and we will try to implement them as soon as possible within next versions to come.